This year I caught a glimpse of a spreadwing — their shape is unmistakable — through a thicket on Staten Island but couldn’t get my camera on it. A couple of weeks ago I finally captured one digitally north of the city. This is a male Slender Spreadwing (Lestes rectangularis). 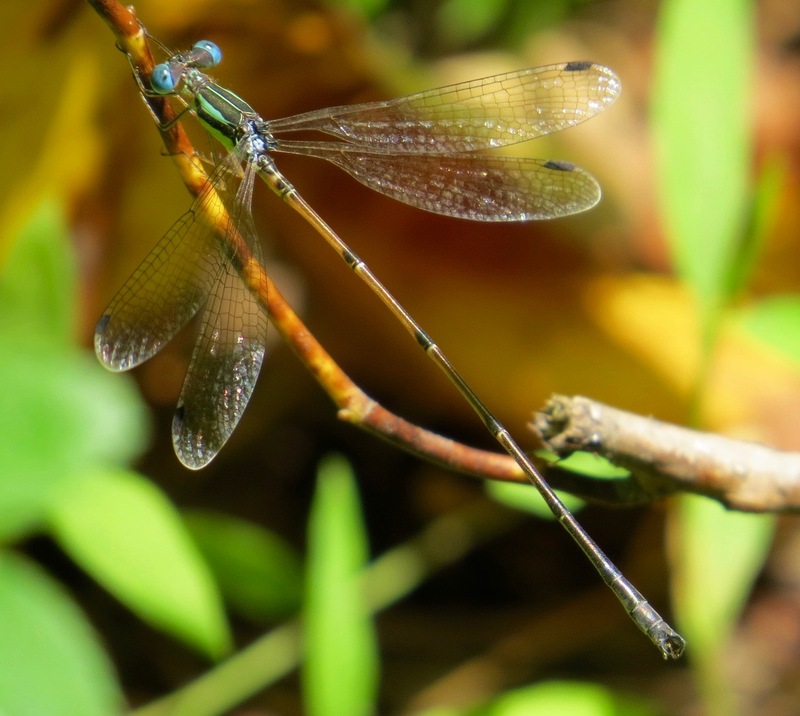 According to my go-to damselfly bible, Ed Lam’s Damselflies of the Northeast, the Slender is perhaps the most common in the region. It is also unique among the male spreadwings in not having a white tipped abdomen. The males, who run longer than the females, can be up to 2.5 inches long.